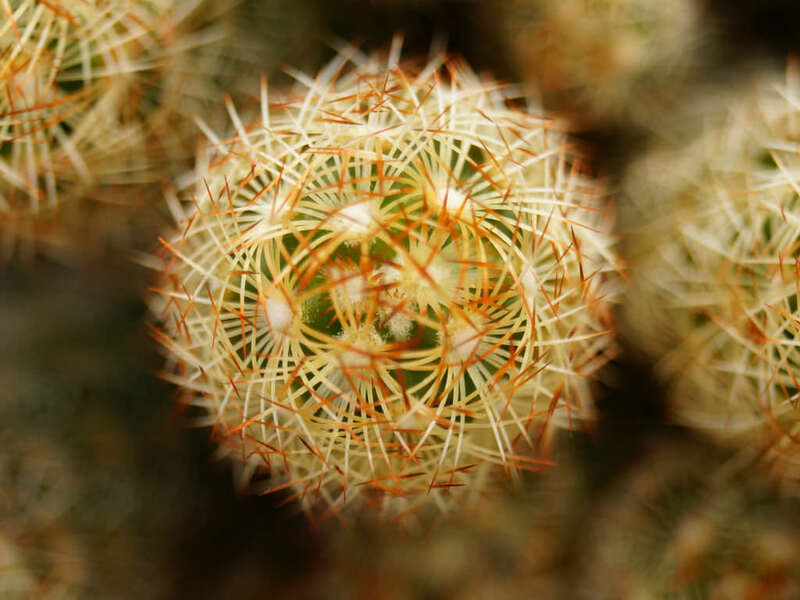 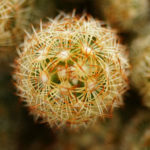 Mammillaria elongata is a cactus with clustered, cylindrical stems up to 6 inches (15 cm) tall. 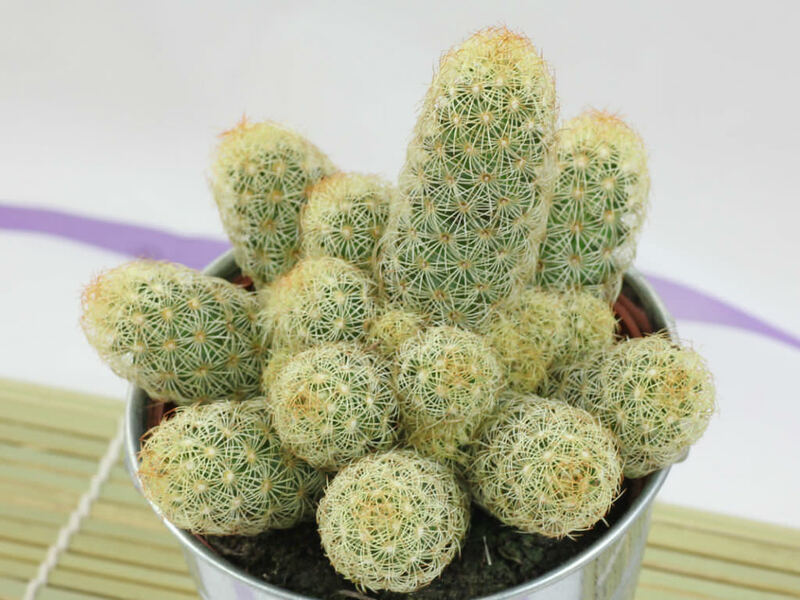 The stems are elongated, finger-like and up to 1.2 inch (3 cm) in diameter. 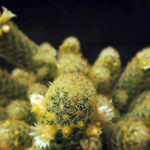 The spines are variable in number, white to golden yellow or brown, more or less recurved and up to 0.6 inch (1.5 cm) long. 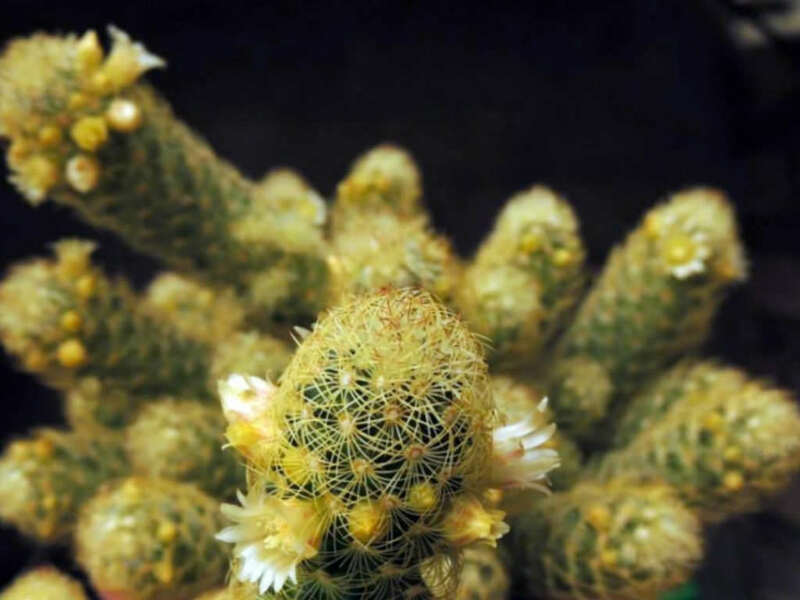 The flowers are whitish, pale yellow or pinkish, sometimes flushed pink or with pink midstripes. 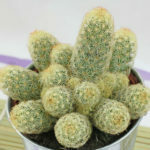 They are up to 0.4 inch (1 cm) in diameter and appear in spring. 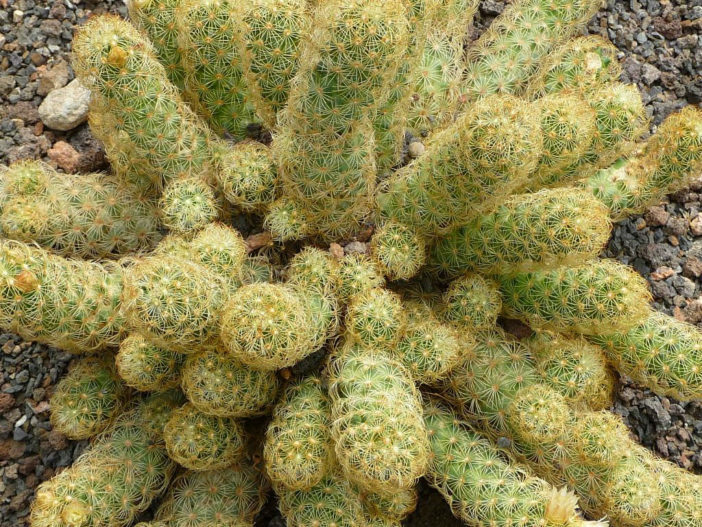 Mammillaria elongata is native central Mexico.